Alabama's Still Waters Resort promises a relaxing stay for all who venture here. Set on the shores of Lake Martin, this property has something to offer people who love water-based adventures. However, Still Waters has even more in store for vacationers who choose to save money with Alabama timeshare resales. The Alabama countryside is lovely in every season, and a stay at Still Waters Resort is the best way to experience it all. Lake Martin features a full-service marina where guests can launch a boat. Anglers try for various bass, crappie and catfish in the startlingly clear waters, which are also perfect for swimmers. The resort is similarly a major attraction for golfers thanks to the 18-hole, championship-style course that's situated nearby. Active guests enjoy the fitness room and outdoor seasonal pool. From the resort, it's easy to reach popular local attractions like Callaway Gardens, the Alabama Gulf Coast Zoo and Auburn University. Accommodations at the property consist of one- and two-bedroom condos, which sleep a maximum of four or six guests. Most units have a fireplace for creating cozy winter evenings while all condos have a washer and dryer for the convenience of guests. Full kitchens are included in all accommodations so that guests will have no trouble making home-cooked meals. Visitors love that all condos have a whirlpool tub for the ultimate in comfort and relaxation. Moreover, bedrooms boast top-of-the-line mattresses and plush linens to ensure that every night offers wonderful, restorative sleep. Balconies or patios promise a quiet spot to watch the sun rising over the lake. With its modern yet cozy and laid-back décor, Still Waters Resort offers a relaxing getaway for couples or families. There are many fun attractions in the area, but the property's grounds are also equipped to delight people who buy timeshare resales at Still Waters. 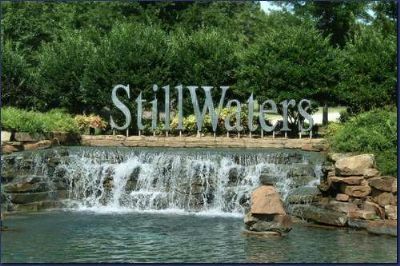 Contact Still Waters Specialist Today!